A hundred and thirty-eight years ago when Charles K. Landis founded Sea Isle, Guglielmo Marconi was still puttering with his first wireless radio machine. In those dark ages, television and internet weren’t even real words. News from the outside world was delivered to the eager public by the written word, and that written word was conveyed to them via their daily or weekly newspapers. Lesen Sie Deutsch? The first newspapers circulated in Sea Isle, extolling the attractions of Landis’s paradise, were written in German because many of the early visitors and settlers were of that extraction. Today’s Democrat was one such paper. The front page of an 1890s edition devoted to Sea Isle once hung in Cronecker’s Rathskeller and is now displayed in the Sea Isle City Historical Museum along with its translation. By 1884, just three years after its start-up, Sea Isle was ready for its own printed news. 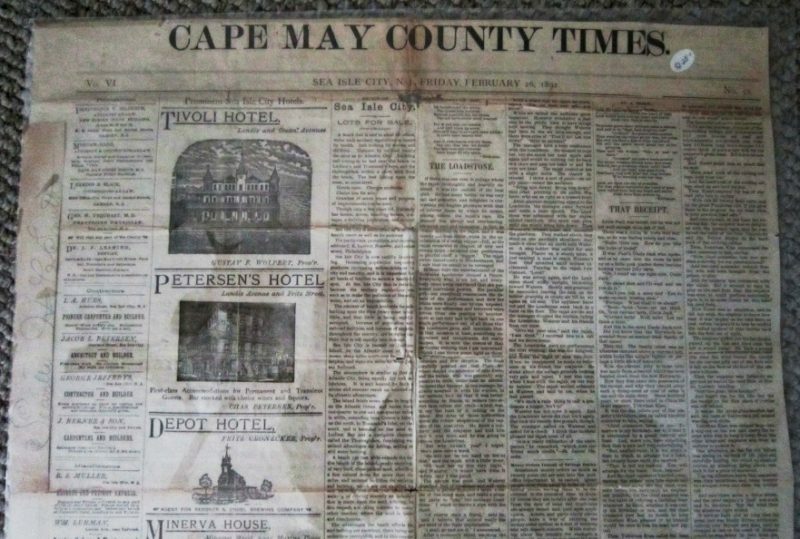 Alfred Cooper, publisher of the Cape May County Gazette in Cape May Court House, seized the opportunity to start the first newspaper in the borough – The Cape May County Times – with Thomas E. Ludlam as editor. It was the fifth paper in the county. They also threw in bits of local, national, and international news. The original paper comprised four pages, 15 by 21 inches. The first newspaper office was located where Laricks Real Estate is today, on the southwest corner of Landis and West Jersey avenues. Two years after its founding, Cooper sold the paper to Ludlam – who happened to be the town’s mayor at the time. When Ludlam ran The Times, it was said to be a Democratic newspaper. In 1907, when he sold it to Selden Twitchell, president of the Sea Isle City Water Company, the paper apparently turned Republican. As Sea Isle continued to grow, there seems to have been a propensity for businesses, and even whole buildings, to move about the city. The Times moved offices to Central Avenue near the gas plant. It then moved back to West Jersey Avenue, behind the original building. It stayed there until 1923. 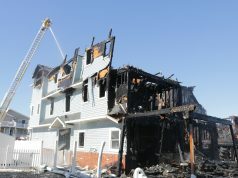 It also occupied office space at a later time on Landis Avenue, next to the Sea Isle Hardware Company. 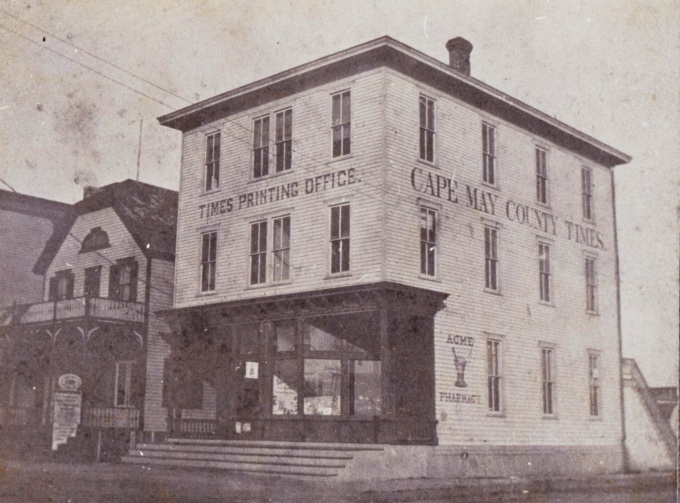 The Cape May County Times office moved several times within the community. The Times was the dominant source of information around the turn of the 19th century, but it did have some minor competition: The Sea Isle Pioneer was printed in the 1890s, and another paper was published in 1907 by a man named Max Baldwin. Baldwin had been an editor of the Times, but was fired for “irregularities in his conduct of the business.” So, he decided to compete. 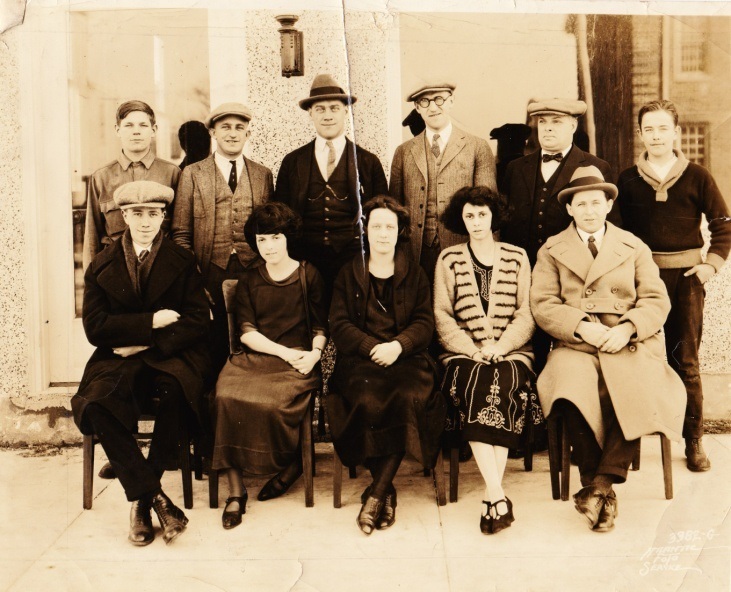 He and a group of Sea Isle City businessmen established the Sea Isle City Review. Sometime later, Baldwin mysteriously disappeared with a packet of cash and turned up in Milwaukee. Last reported (1917), he was residing in the Wisconsin State Prison having been convicted of both forgery and bigamy. (He was married to his third wife, but never got around to divorcing the first two.) The Sea Isle City Review was eventually sold to the Times. The fortunes of The Cape May County Times in the twentieth century became inseparably entwined with those of the Garden State Publishing Company – a connection brought about by a man named William Anthony Haffert, Sr.
Haffert was born in Newark, the year after Alfred Cooper founded The Times. But he caught up quickly. His first job was as a cub reporter for The Summit (New Jersey) Record, then advertising manager for the Atlantic City Evening Union, and later, editor of The Somers Point Record. He became editor of The Cape May County Times in 1913 and bought the paper a year later. He was 21 years old. Then several things happened. The business prospered for several years. Then the great depression came along. The smaller papers folded, but The Times and the Seven-Mile Beach Reporter survived under the aegis of the Garden State Publishing Company, which began to grow again. The building was expanded, and a wing added. Haffert began an 11-year stint as mayor of Sea Isle in 1946. Three years later he sold the Cape May County Times, the last of his newspapers, to William C. Hunt of Wildwood. He had been its publisher for 35 years. Haffert died in 1976 at the age of 82. At the time, he was still chairman of the Garden State Publishing Company. 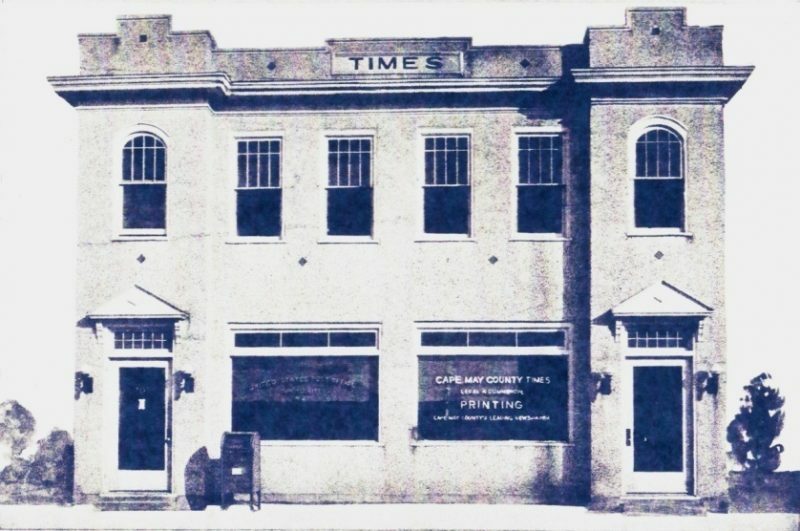 The Times was a staple for Sea Isle residents beginning in the late 1800s. In 1977, the title to the Garden State’s agricultural publications was sold to the Watt Publishing Company of Mt. Morris, Illinois. The company’s property was sold 10 years later, to be remodeled and repurposed by its new owner, leaving its facade basically unchanged. It stands as a testament to The Times, to the Garden State Publishing Company, and to William Anthony Haffert, Sr. But Sea Isle City hasn’t been left newsless. Today, regional newspapers – The Herald and The Gazette – keep the town supplied with the printed word. 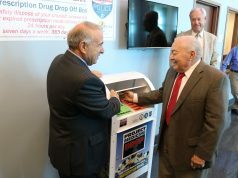 The city’s comprehensive E-Newsletter comes out bi-weekly. 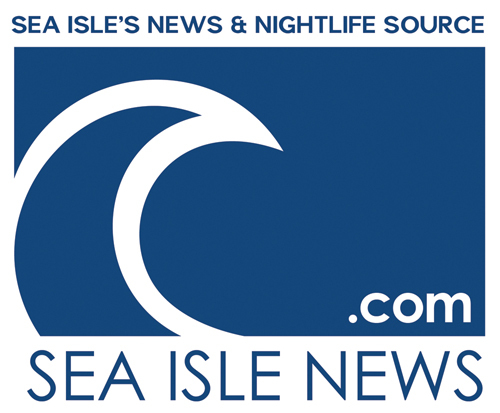 SeaIsleNews.com provides local news of daily immediacy to residents. The Sea Isle Times produces a seasonal publication. And that’s not counting television, Facebook, Google, and all the rest. Can there be too much news? The Sea Isle City Historical Museum was the primary source of the information presented here. To learn more about our town’s history, please visit the museum at 48th Street and Central Avenue. Access our website at www.seaislemuseum.com. 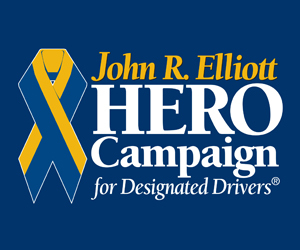 Call 609-263-2992 with any questions. 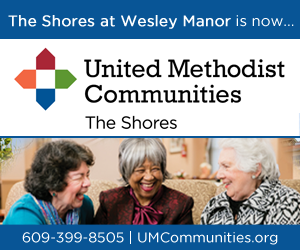 Current hours are 10 a.m. to 3 p.m. Monday, Tuesday, Thursday, and Friday. An 1892 edition of The Times.